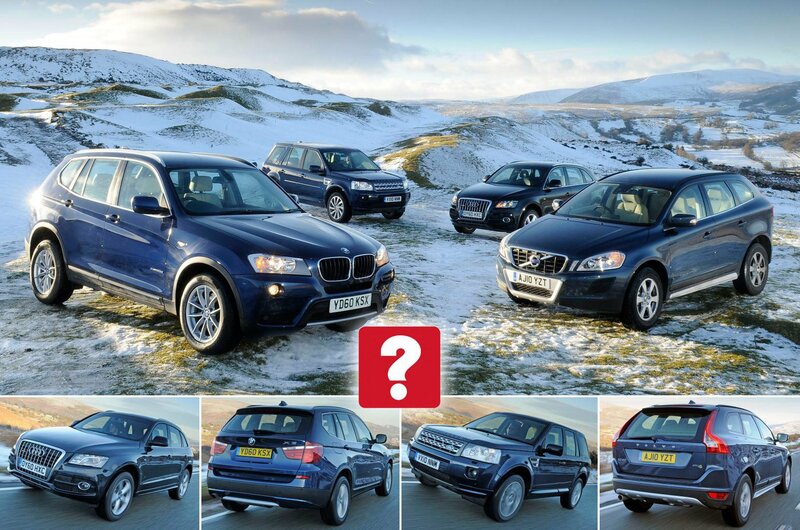 Used Audi Q5 vs BMW X3 vs Land Rover Freelander vs Volvo XC60 | What Car? When the weather outside is frightful, knowing you’ve got a warm, safe SUV parked outside to get you home is truly delightful. The reassurance of having something so substantial, combined with a comfortingly high-quality interior, has made upmarket SUVs like these enormously popular, especially during biting cold snaps like the one we’re currently experiencing. 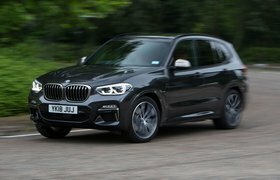 The current BMW X3 is one of our favourites of the breed, and in early pre-facelift form it’s now possible to get hold of a tidy, average-mileage example for less than £14,000, making it surprisingly accessible. But it doesn’t have the market to itself. Audi's Q5 is pricier to buy, but perennially popular thanks to its blend of smart looks and crisp driving dynamics. Then there’s the Land Rover Freelander, whose rugged reputation suggests it’ll get you up hill and down dale, whatever the weather. And with prices undercutting the two German cars in this test, it looks like pretty good value. Not quite as good value, mind you, as the Volvo XC60 – the cheapest car here was once our favourite SUV, thanks to its smooth drive and beautifully-designed interior. But it's the only one without four-wheel drive, so will that count against it? Time to head for the hills to find out. Let it snow. All of these cars came with muscular turbodiesel engines, but the Land Rover’s is the biggest and strongest. For a start, it’s a 2.2 where the rest have 2.0-litre engines. It also has the most power, with 188bhp, and most torque, at 310lb ft. That oomph is available from low revs, too, so whatever the circumstances, there’s always plenty of go. Despite all that power, the Land Rover can’t keep pace with the BMW. The X3 isn’t far behind on power with 181bhp, and there’s also a healthy 280lb ft of pull. Importantly, it’s much lighter than the Freelander, so the X3 feels a good bit perkier. The eight-speed automatic gearbox helps, too, because it’s quicker to respond to a prod of the accelerator than the Freelander’s six-speeder. In fact, the X3 will outsprint all of our contenders from a standing start, and it’s quickest to pick up pace on the move. 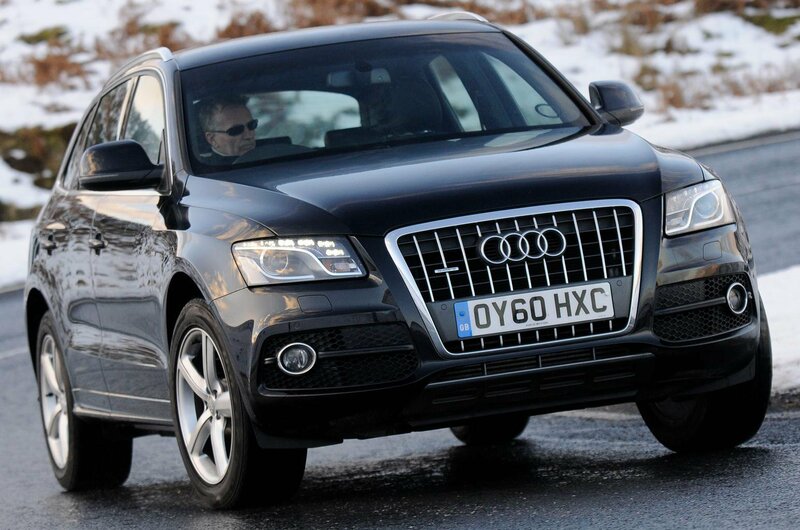 The Audi’s engine has lots of mid-range pull, so once you’re up and running, the Q5 doesn’t hang about. However, the seven-speed twin-clutch gearbox takes its time in sending the torque to the wheels, and that can make the Audi feel a little reluctant to move off from a standstill. On the plus side, the ‘box is great when you’re accelerating through the gears, because the changes are seamless. 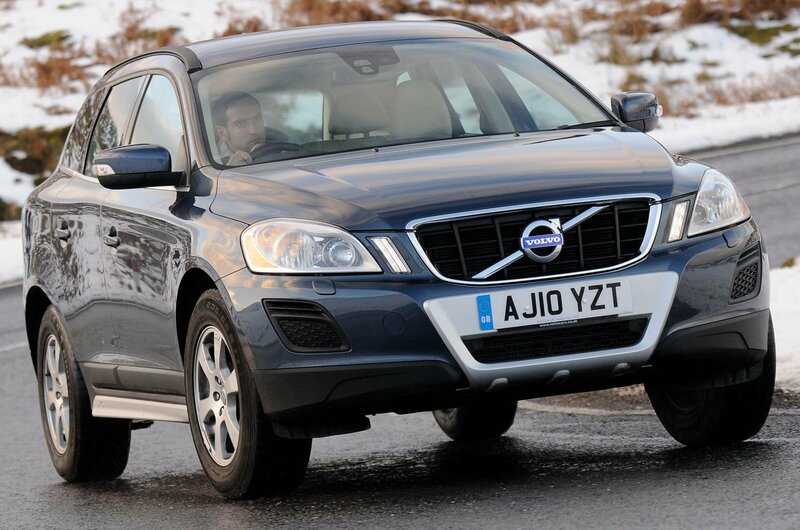 The Volvo has more torque than the Audi (295lb ft to the Q5’s 258), but trails it for power (161bhp vs 168). There’s very little between them for weight. However, the Volvo is quite a bit slower. It never feels particularly brisk, even at peak power, but it’s not so lazy that you’ll get frustrated with the performance. You may lose patience with the slow responses of the six-speed automatic gearbox, though. What about in the corners? 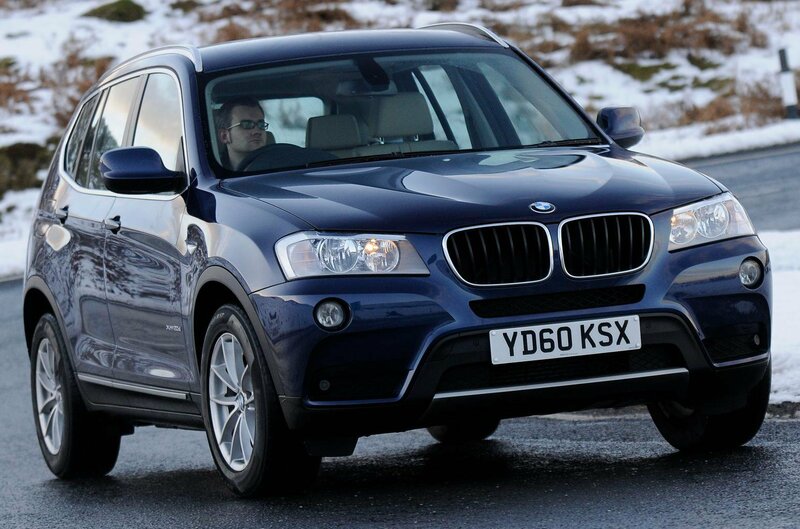 Well, the X3 has always been great fun in bends, but older models suffered from an incredibly hard ride. This version, though, is a lot less jiggly – although our test car was fitted with Variable Damper Control, which was a £930 option when the car was new. In our experience, though, the standard X3 rides perfectly well – as long as you choose this SE version with its smaller wheels and softer suspension. The X3 handles brilliantly, too. Body control is always tight, there’s plenty of grip, and although the steering doesn’t offer the feedback you might expect from a BMW, it’s well weighted. What’s more, it’s the quietest overall. There’s some wind noise around the door mirrors at motorway speeds, but road- and suspension noise are extremely well suppressed. The engine makes itself heard when you increase the revs, but once you’re up to speed it’s perfectly quiet. The Audi is the real entertainer of the bunch. The Q5’s steering is just as fast and well weighted as the BMW's, but it grips more strongly, and rolls less in bends. This agility does come at the expense of ride comfort, mind you – you feel a tad too much of the surface beneath you, and big bumps can give you a real jolt. The Q5’s engine is the most civilised here when you’re accelerating, but it isn’t as hushed as the BMW’s at 70mph, and you feel more vibration through the pedals. The Audi isn’t as good as the BMW or Volvo at shielding you from road noise, either. 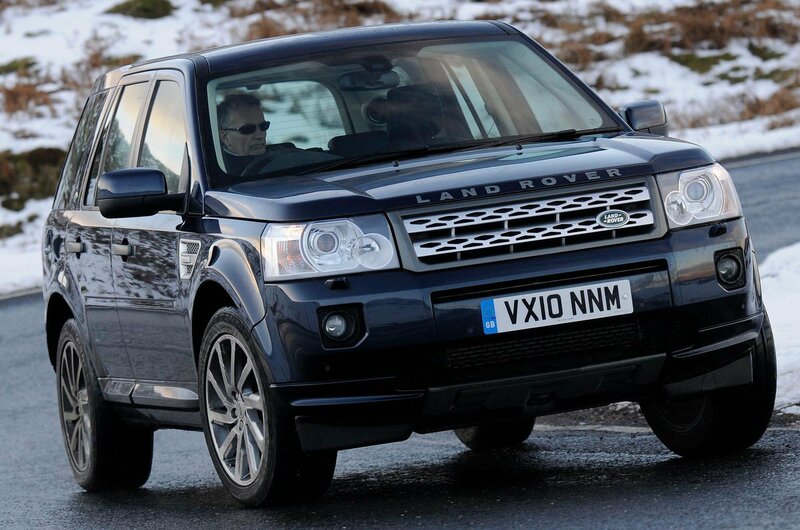 Wind noise is the main disturbance in the Freelander, however. Our test car wasn’t helped by its glass sunroof, but the upright front end also generates some sound. There’s a bit of road noise to be heard, too, and the engine has a distinctly agricultural tone. The combination of all these noises means the Freelander is the least refined of the four, which is a shame because it’s otherwise so relaxing to drive. The suspension is set up for comfort above all else, and it does a cracking job, too, wafting you along serenely. Of course, the soft suspension means the body leans dramatically when you come to a bend, and the Freelander runs out of grip earlier than its rivals, too, making it the least sporting here to drive. The light steering is also a little disconcerting, though it’s useful when parking. The XC60 is neither particularly sporty nor soft, but it strikes a brilliant balance between the two. The ride is comfortable on any surface and the body control is strong enough to keep the car composed in corners. It’s also reasonably quiet, mainly because it’s great at isolating road noise from its occupants, though there is some wind noise from the bottom of the windscreen, and it suffers from a grumbly engine whether you’re accelerating or cruising. The steering could offer more weight and feedback, too, and it’s worth noting that the XC60 is the only car here without four-wheel drive, which was only available as an optional extra when it was new. The standard two-wheel-drive car tested here isn’t as capable off-road, and nor will it get you up icy hills as convincingly as the others.